This big beautiful boat handles the big water as well as she looks. 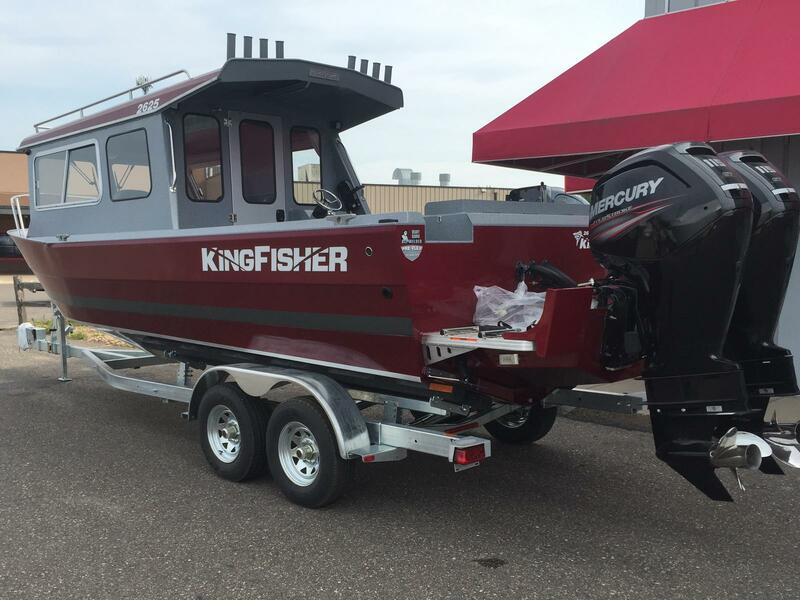 If you are looking for a boat to fish the Great Lakes or just want a big comfortable boat for any other lake this is a great boat that does more than just fish. This boat is loaded with the following options: Aurora All Weather Package, Northwest Interior Package, Cold air dash blower/defog kit, CO Detector, 2 Rivermaster seat upgrade, Smooth Moves seat suspension for driver and passenger, Accessory electronics wiring harness, Additional 12 volt power point & dual USB outlet, BEP 3- Battery management system for twin engines, Livewell pump & plumbing upgrade for transom fish box, Fuel quick disconnect and shutoff for kicker, Cockpit roof extension, Cold weather interior cabin liner, V-Berth upgrade (berth cushion, deck hatch & light), Auxiliary steering station, Radar mast and wings, rooftop mounted remote search light, SST re-boarding ladder. 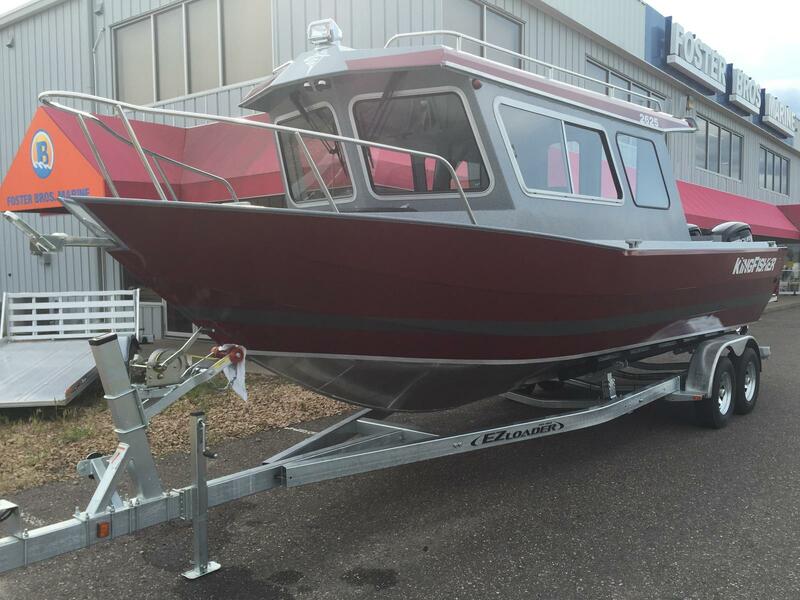 It has a pair of 115HP Mercury Command Thrust four stroke outboards. It also has a EZ Loader trailer with slick bunks and a spare tire so you can take it with you to the lake of your choice. It is ready to have a kicker mounted just need to know what horsepower you want.